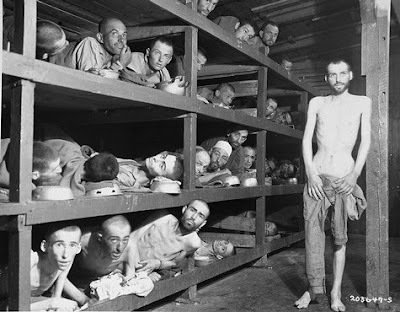 The photo below is of Elie Wiesel in the Buchenwald concentration camp. He’s in the second row from the bottom, seventh from the left (next to the wood support). Rothschilds nothing! Everyone knows that Obama is George Soros sock puppet. Wasn’t Soros Jewish once upon a time? May the Schwartz be with you. Eli Wiesel should just go back to Indonesia. I don’t see him condemnig the terrorist shooter at Fort Hood. Elie is a whiner. She should stop her whining. You didn’t not complane when the libs were calling Bush Hitler. You know what? The fact is that at a time in history, The Rosthchild family controlled practically everything.This is a fact. Not anti semitic. I resent the Jewish outrage at everything. I am a tea partier. obama is a Marxist and takes his orders from George Soros… it is similar and these people need to get a life., Why any Jew would support the Obama administation is a mystery anyway. He is a Muslim sympathizer and the greatest threat to Israel ever to sit in the White House. Wake up Jewish community. Take off the blinders. “most American jews are not very religious and many are outright unbelievers, Jews in name only.” Many older Jews in America feel shame for BEING in America, rather than emigrating to Israel in the late 1940s. Many sent money to help the colonization, and a few sent Army-surplus rifles, but the majority came up with the most interesting excuses for not answering the call to gather together and forge their homeland. Elie Weisel is disgusting PR-seeking profiteering demagogue who has made a fortune off playing on the world’s guilt trips about the what happened to the Jews during WW2. Most objective WW2 researchers agree now that the beastial Nazi”s, who happened to be anti-capitalist Socialists, killed even more Slavs and Gypsies in their concentration camps than Jews, but you don’t see the Slavs and Gypsies trying to profit off the “Holocaust” like some of the shameless powerful Jews in the media. I sometimes wonder what has happened to the Jewish people?. The Bible says that they are GODs’ people and Israel is their home land. I see so many Jews seem to have abandoned their faith and I think this has to sadden our Father in Heaven. I see many Jews that are homosexual-actively promoting it as a “normal” lifestyle. I see many Jews involved in the ACLU- which I call the “Anti Christian Liberal Union”, this bothers me as how can one be against their Father and Son in Heaven who are for Life??. I see many Jews in Hollywood making filthy ,sinful movies-what happened to the good, Family movies??. I see many Jews full of Greed in Hollywood, Wall Street,etc. I see many Jews involved in abortion groups- how can one support the killing of human fetuses? ?, especially people who have suffered through the Holocaust??. I am not anti-semitic, I know many will come on here and attack me. I am simply stating what I see and I believe our Father in Heaven is wondering what is happening to his “chosen” people?. He sent his only son to Earth to die for our sins and I think He is wondering the direction our Country is taking??. I am praying for our Country and all the Jews in our Country and pray that our Father will forgive us all for our sins. I hope I have stated what GOD would have wanted me to say?. GOD Bless and Pray for our Country.